I'm still enamored by the martial arts belt coloring as a reference for badge colors. It already comes with a defacto global understanding of different colors for different levels. And this understanding is close to shared across all the different martial art forms. I also like how the colors can be expanded by adding attributes to the belt (like dark lines or white cuffs). This allows for a level of understanding, denoted by a single color, to be expanded to contain additional levels within the same color. This could allow for badges to be offered at different levels of granularity depending on the group, the learning goals, the duration, the context, etc. In some of the martial arts practices they have many top levels (or degrees), creating a flexibility for life-long learning. From a technical perspective the colors found in the martial arts belts are all web safe colors. So when creating and displaying badges the challenges in rendering will be reduced by the smaller and known color palette. I am also a strong believer in having iconic or color themes throughout course materials that provide a visual prompt of where the learner is within their learning journey. Having this prompt aligning the learning resources with the awarded badge can assist in organizing learning modules throughout a program or learning journey. And again by using web safe colors across all modules, and out to the mobile devices they will be utilized, can assist in keeping the learner organized and knowing the materials they are focused upon are at the correct level for their abilities and knowledge. 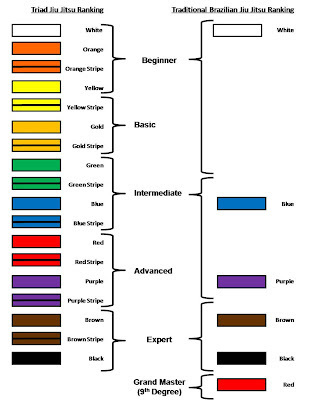 Described here are my musings about badge color schemes. They may not work for your learning context or how many levels or goals your learning system has. There are many things to consider when designing badge systems. 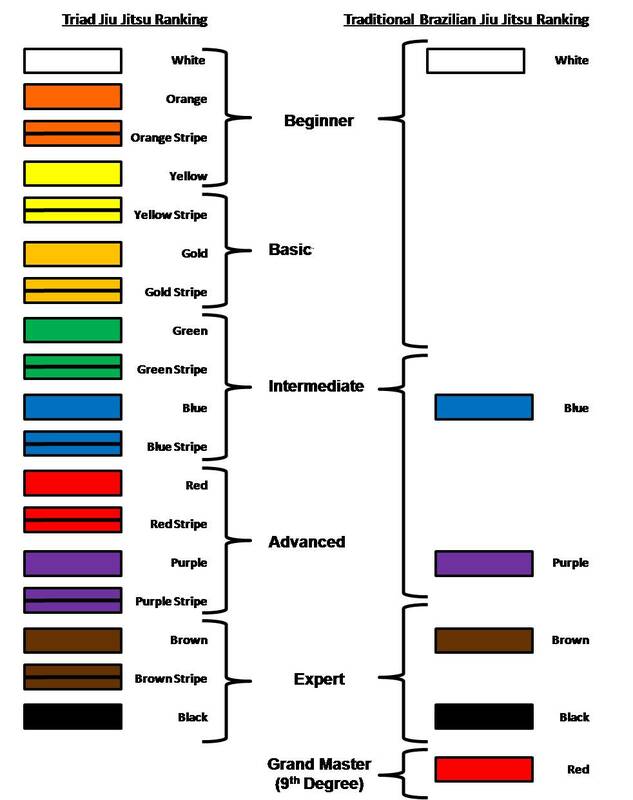 And having a varied color system that provides many levels that can be easily added too many not be the best. For further perspectives on badge systems design I strongly recommend reading Erin Knight's (Senior Director of Learning with Mozilla Foundation) excellent post discussing the three T's of badge systems design.